Published February 6, 2015 at 2956 × 2804 in Too fast to photograph: Ultra-speed day-glow ‘Skootnik’ observed in night surf, January 2015 – Myrtle Beach… UFO, USO, drone, what? 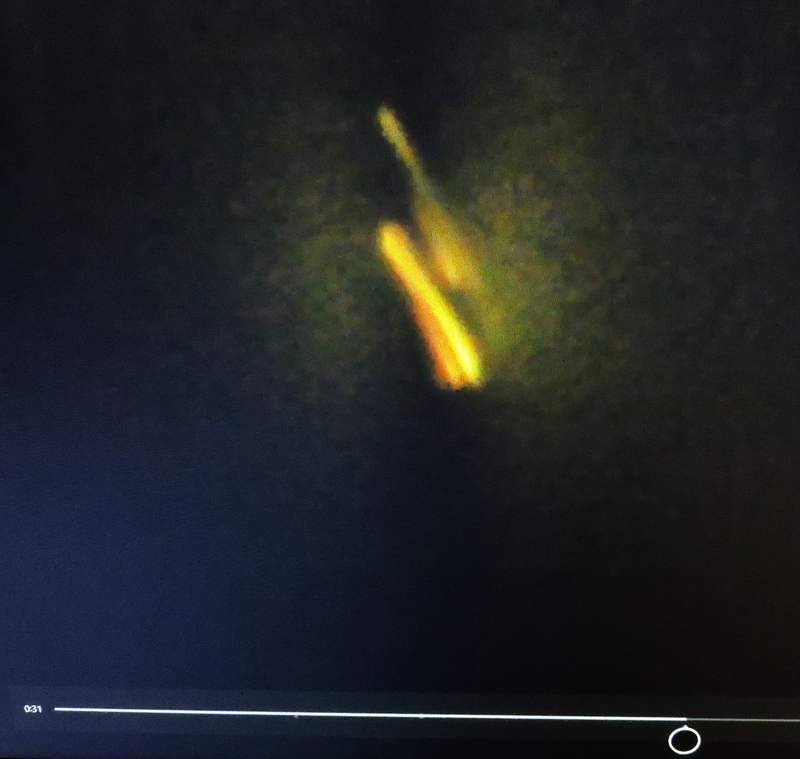 Photo taken 01/03/2015, from the balcony of an oceanfront hotel, 6:47 pm: This photo, that appears at .31 on the film, is of the second frame that we captured of the object/lights that had been bluish-green moments before. The still is also sideways, but it was captured just a few seconds after the object emerged from under the water. It had changed colors, and was sparkling, and spinning and appeared to be emitting other smaller lights.